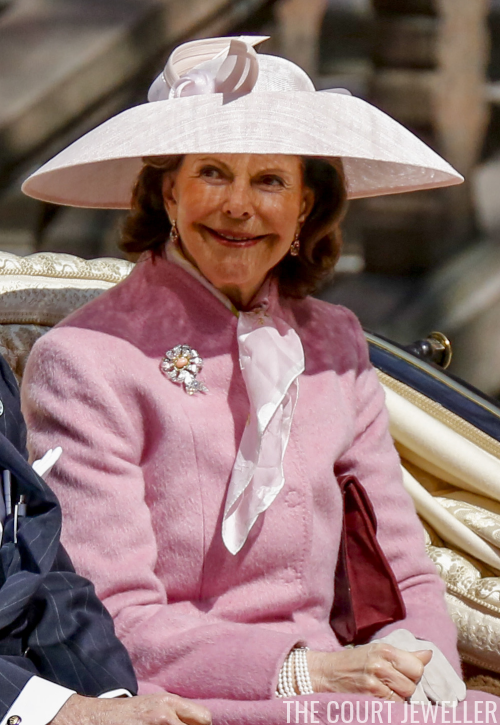 Queen Silvia wore earrings with pink gemstones, a floral brooch set with diamonds (and possibly coral? ), and a multi-stranded pearl bracelet. 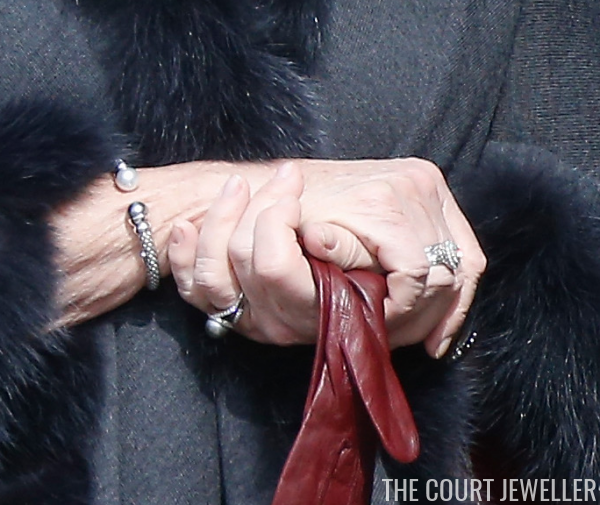 Here's another look at the bracelet, plus Silvia's ring. You can also see a stack of gold bracelets on her left wrist. 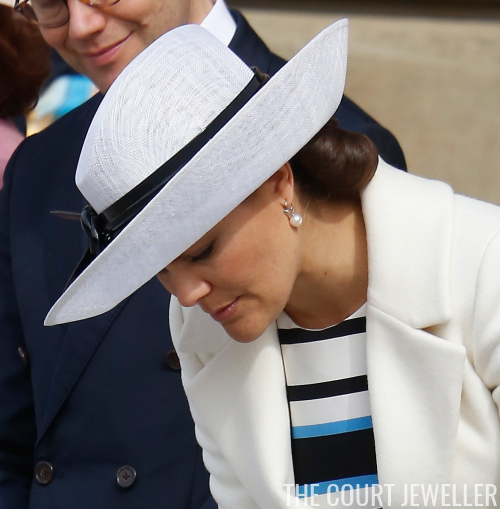 Crown Princess Victoria wore a lovely pair of diamond and pearl earrings from Kreuger Jewellery. 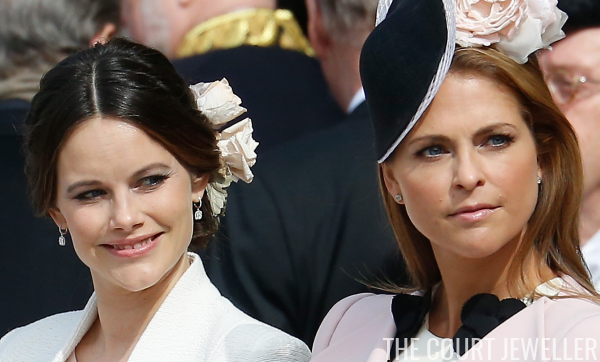 Princess Sofia and Princess Madeleine both wore fairly understated earrings. Sofia's feature gemstone drops, possibly diamonds; Madeleine's are glittering stud earrings. 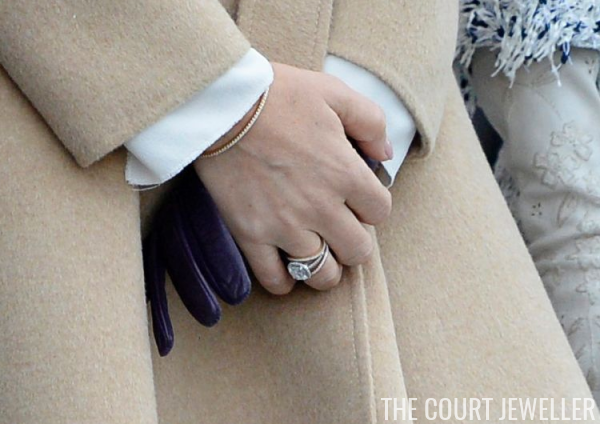 We also got a glimpse of Sofia's rings, including her diamond engagement ring, and her watch. 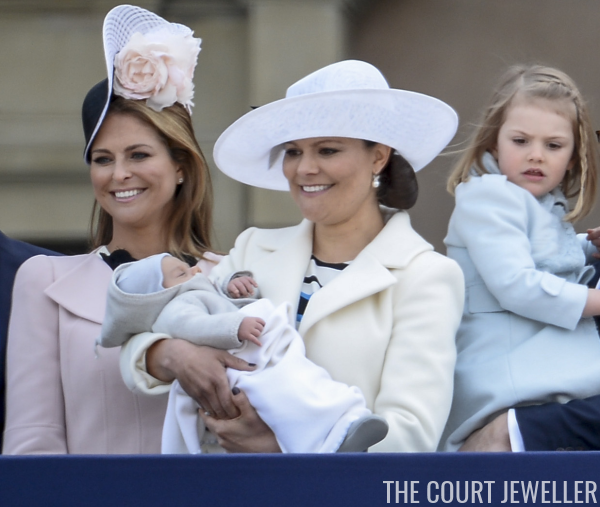 ...and her new baby brother, Prince Oscar, made his first significant appearance in public. We'll see him again in about a month at his baptism. 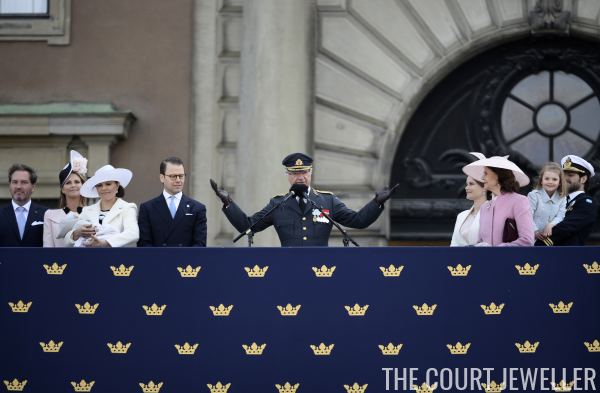 Lots of foreign royals, including many of the king's extended family members, also joined in the celebrations. King Harald and Queen Sonja of Norway's appearance had to be canceled following a helicopter tragedy in their country, but Princess Martha Louise represented the family. She wore a glamorous pair of statement earrings. 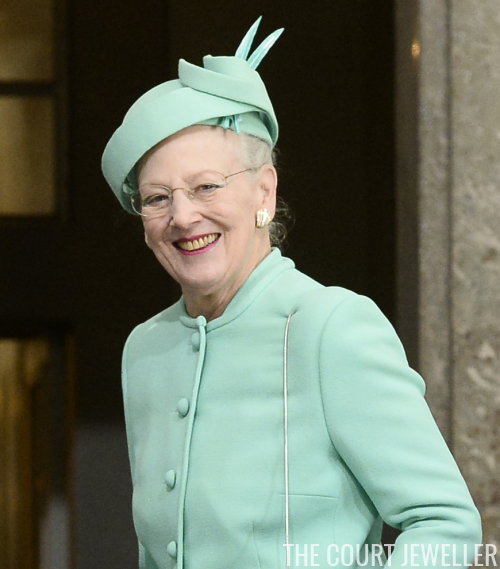 Queen Margrethe II of Denmark, who is the king's first cousin, wore a pair of sparkling earrings at the Te Deum service. Her sister, Princess Benedikte, wore her multi-colored pearl necklace with diamond and pearl earrings. 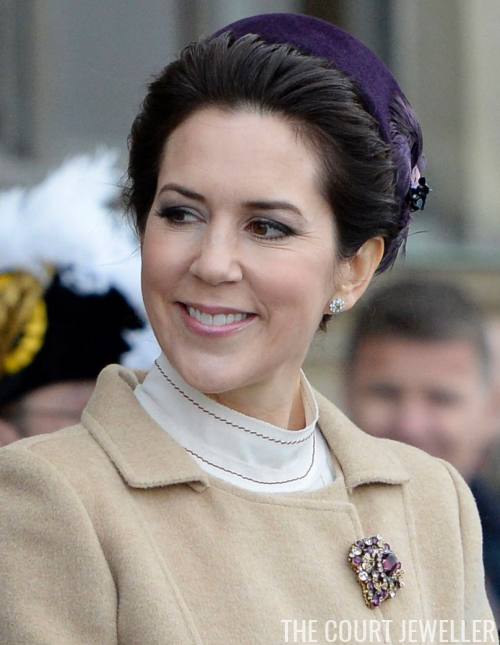 Crown Princess Mary was also at the birthday celebrations; she wore a brooch from her collection that appears to be studded with amethysts. 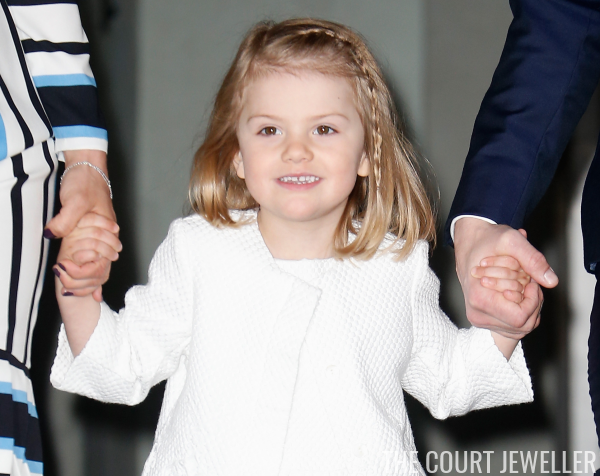 She donned the same brooch during King Willem-Alexander and Queen Maxima's visit to Denmark last March. We also got a glimpse of Mary's glittering bracelet and rings. 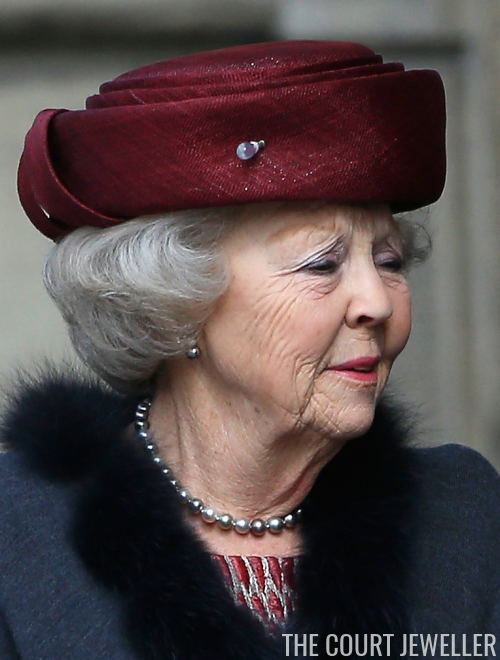 Princess Beatrix of the Netherlands wore pearls in various shades of silver. 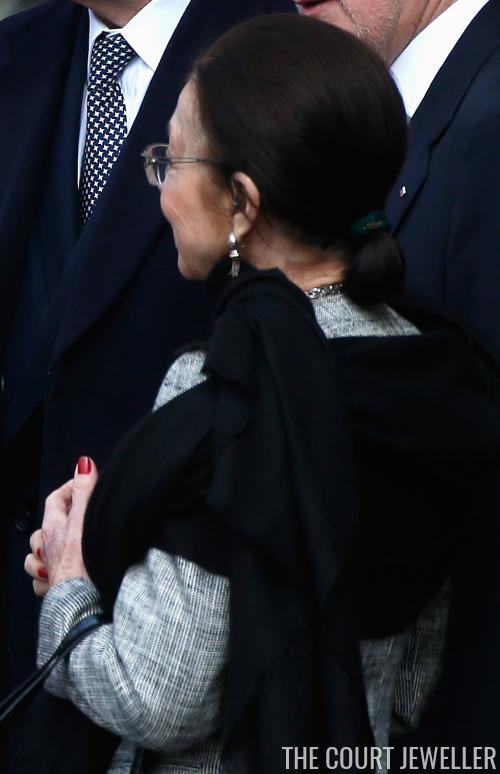 You can also see her bejeweled hat pin in this photo. 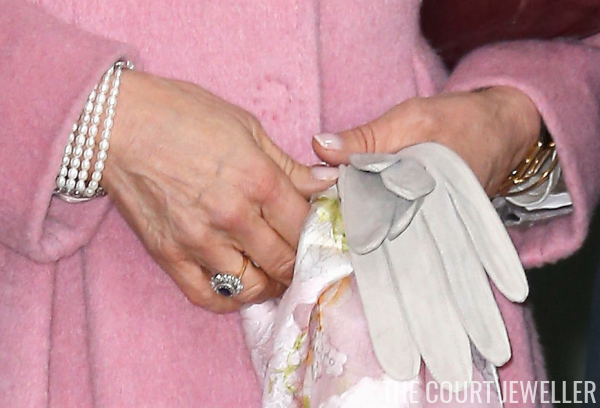 And here's a look at her coordinating bangle bracelet and her rings, one of which also appears to be set with a silver-toned pearl. 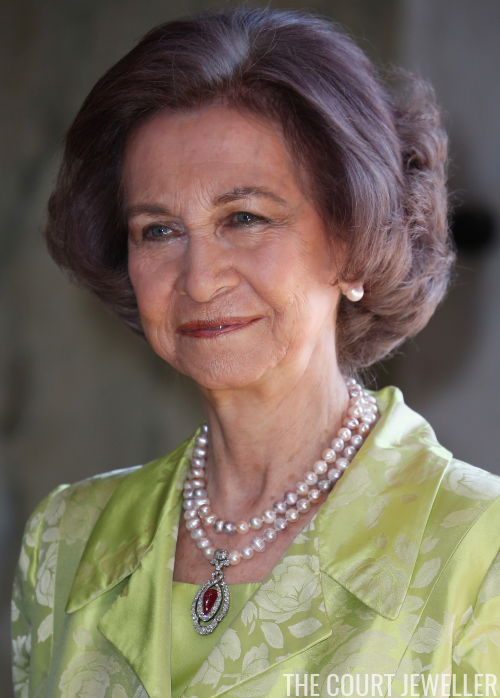 Queen Sofia of Spain wore pearls with an heirloom diamond and ruby pendant, a piece she inherited from her mother, Queen Friederike of Greece. We got a very limited look at the jewelry worn by Margarita of Bulgaria, the wife of former King Simeon, but it looks to be silver-toned. 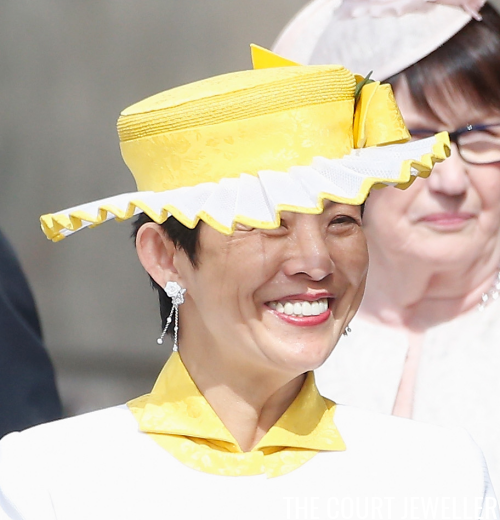 Princess Takamado wore an ensemble that makes me feel like she's the Princess Anne of the Japanese imperial family. She paired it with a brooch and a pair of whimsical earrings that (I think) have floral studs. We also got a look at her gorgeous rings. One features a diamond, while the other is set with diamonds surrounding a single pearl. 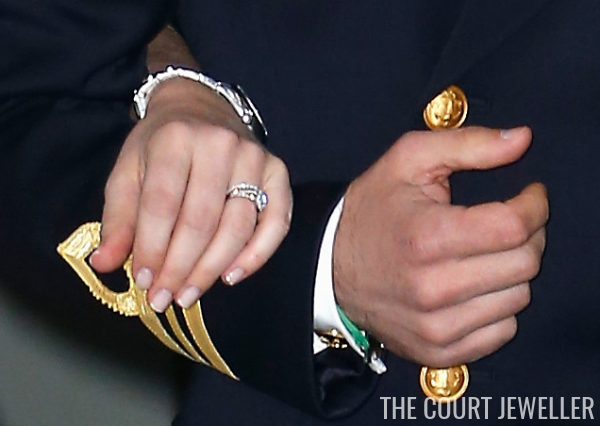 Royal jewelry isn't only limited to women, of course. 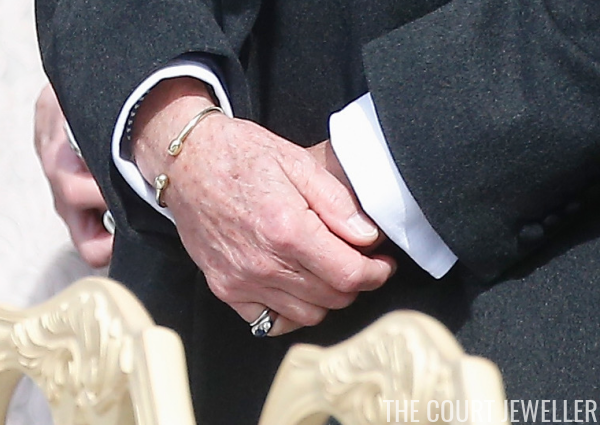 One photo gave us a look at a bracelet and gem-set ring worn by the king's cousin, Leopold of Bavaria.